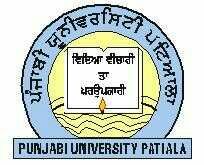 Punjabi University Patiala recruitment noticefication 2015-16 released to recruit new candidates for the post of Clerk and Web developer and various other posts. All eligible candidates should have to apply before 31 August 2015. Salary : Selected candidate will be paid Rs. 10300 – 34800 with grade pay of 4200 Rs. Required Qualification : Applicant must have passed Graduation from any recognized university. Experience Required : minimum 1 year experience is must. Age Limit : Candidate’s age should be minimum 18 years. No upper bound for age. Age relaxation will be provided for various categories as per govt policy. Required Qualification : Applicant must have passed Post Graduation in CSE/IT from any recognized university. Experience Required : No experience required. Age Limit : Candidate’s age should be minimum 18 years. Required Qualification : Applicant must have passed Metric (10th) from any recognized School or Institute. Application Fee : Rs. 100 for all eligible candidates of all categories. How To Apply : All eligible candidates should have to apply through the official website for the various posts before 31 August 2015.
create post titles to grab viewers to open the links. got to say. Just my opinion, it would bring your posts a little bit more interesting. you have done a wonderful activity on this topic! Hey there! This is my first visit too youur blog! information to work on. You hsve doe a wonderful job! in my waste disposal unit testimonials.